Tell us a little bit about yourself/company/team? We are small team of four members located in Nis, Serbia. Our team was born during our college days (computer science college). After few student projects we realized we share the same passion for playing and making games. We are here to bring high quality games to the players by pushing our knowledge to the limits. Because we are small team, we all share jobs of programming, modeling, animation, music etc. Our goal is to become professionals in game development industry. We are currently “bedroom” studio with no funds and we are planning to change that in future. What made you decide to use the XBLIG platform for your game? XNA was our first choice when we started making games because it simplifies game programming. Also, it provides easy deployment to Xbox consoles and XBLIG. This service is perfect for beginners, it is good for studio promotion but it is not so good for making money. It is sad that there are some good games on XBLIG which are not noticed by Xbox Live users. What was the biggest hurdle in getting this game finished? We didn’t had much problems but there are some things we can mention. For example, balancing and testing of levels took more time than we expected. For each level design we spent about 3-4 hours but on balancing, polishing and testing we spent about five days longer. We also encountered problems because of the game design which focused on high speed. With experience we have now we can say that is pretty hard to make high speed games (problems with collision, clipping and obstacle visibility). Do you have plans to continue developing games for the Xbox 360? As we said, our goal is to create high quality games, so we do not care which platform we use. Until we get our team stronger, we will continue to make games for XBOX 360. 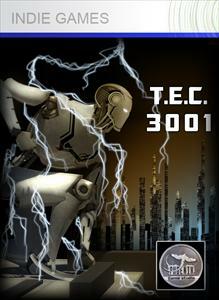 Our next steps will be porting T.E.C. 3001 to PC and Windows Phone 7. Also, in about a month from now, when we analyze our success with T.E.C. 3001, we will announce our next project. How does it feel to know that your game was chosen by your peers and community? We are very pleased to be involved in IGSU event. Also, we were surprised to be the highest voted game in the finals. Community which organized this event, did a great job promoting all the games. Also, we made a great contacts with other teams from the final 10 games. Dave and Kris put together great team which helped in promotion a lot, and we would like to thank them for that. What games directly influenced your game, both positive (wanted to mimic) and negative (things you didn’t wants players going through or feeling). Our first inspiration was Snail Mail. We wanted to take simple commands and highs speeds from that game and to combine that with a humanoid character. Second thing is that we wanted our game to be challenging like N+ and Trials HD After that ideas started to come, and it all went in good direction. How did you get into making games? Everybody in our team was and is a gamer who played games a lot and also wanted to make them in future. We learned basics of programming on our college and then we realized that we can make games. It started one day while we were drinking and talking about games we played. One of us said “why shouldn’t we try to make a game?”. We knew it will be hard and long journey and here we are after three years. The day after that night the idea of Dark Redeemer was born. 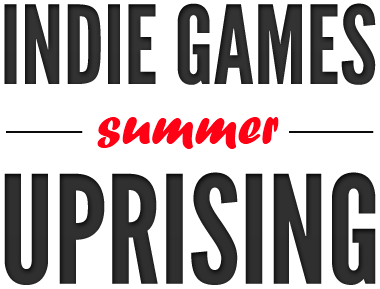 It is 2.5D platformer with RPG element which is now on hold because we participated in IGSU with T.E.C. 3001. Do you feel your final product fully reflex the vision you had in your head? We are very pleased with final product but there is always room for improvements. We had a lot more ideas to implement in T.E.C. 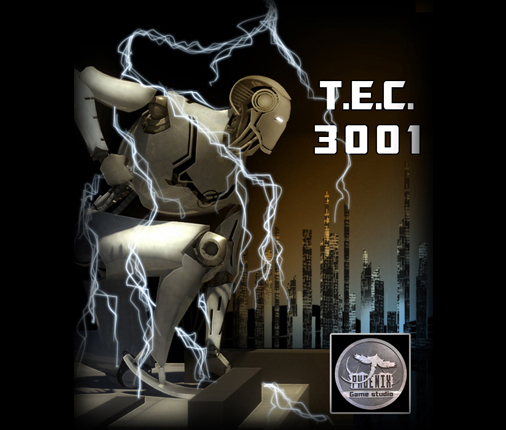 3001 but because of deadline we had to reserve them for the sequel of the game.